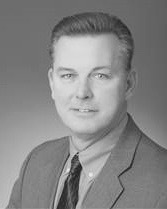 Brad has 30 years of experience in sales and business development for the global oil and gas industry. His career has evolved from field service for system trials, commissioning and troubleshooting of large scale water treatment and separation systems with Conoco; to, most recently, managing the N & S American office for Maxoil Solutions, a highly specialized consultancy that targeted the optimization and root cause analysis of production system upsets for Oil & Gas operators. Brad brings with him a tremendous amount of knowledge in the water treatment market for the Oil & Gas Industry, both upstream and downstream. Brad hails from California (but he got to Texas as fast as he could) where he pursued his BSME at Cal Poly Pomona.